This collection was inspired by the beautiful way in which molten lava flows down a volcanic mountain, blazing its own trail and eventually hardening into bold and earthy black rock. Each metal piece was sculpted by hand from a wax model, then cast into sterling silver or brass. Metal is oxidized, then polished to a satin finish to create depth and variation in color. Lava rock is smooth to the touch and lightweight. Each piece in this collection looks stunning on its own, or can be paired with another to make an even bolder statement. This piece is handmade for you upon ordering. Please allow up to 3 weeks for the item to ship. 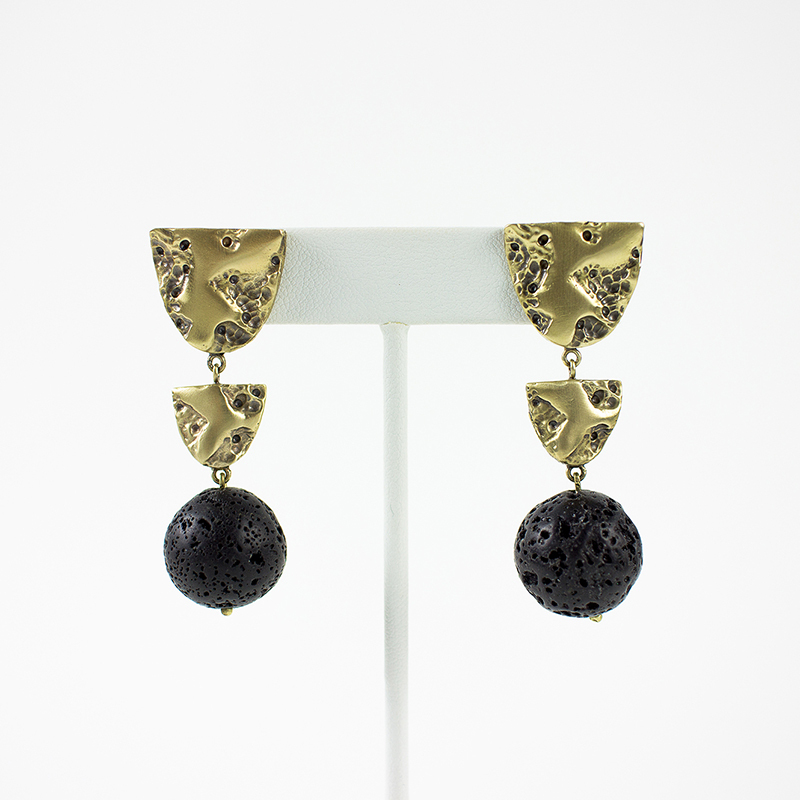 Measurements Earring length (from post): 3.8 cm / 1.5"
Material(s) Genuine lava rock, with oxidized brass. or sterling silver. Sterling silver post and earring back.